There will soon be an Article 8 bis to the Rome Statute. The just-concluded IHL Dialogs, cosponsors of which include IntLawGrrls and the American Society of International Law, feature prosecutors from most of the international criminal tribunals convened in the last 60 years. Joined at the Chautauqua Institution, a lovely upstate New York setting, by members of the academic, practitioner, advocacy, and diplomatic communities, these prosecutors spend a few days discussing hot topics in international criminal law. The hottest ICL topic this year is the crime of aggression. As readers of our series on the subject well know, this summer the ICC Assembly of States Parties ended a 2-week Review Conference in Kampala, Uganda, with the consensus approval of a package of proposed amendments to the ICC Statute, which had been adopted at Rome, Italy, in 1998, and which entered into force on July 1, 2002. A centerpiece of the Kampala package is proposed Article 8 bis, to which Judge Kaul referred. 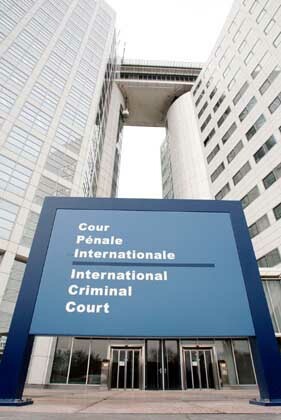 Article 8 bis defines the criminal prohibition; other proposed articles chart the paths by which the ICC may investigate and prosecute uses of force alleged to fall within that prohibition. ► What do the proposed texts actually mean? ► How will they work? ► Which, if any, states will ratify the amendments? ► When, if ever, will the amendments become the law of the ICC? The IHL Dialogs left some of these questions open. The meaning and working of the amendments, for example, inevitably will be subject to judicial interpretation and pronouncement. But a clearer answer seemed to emerge on the question whether these amendments will enter into force. In a word: "Yes." Kaul predicted that Germany (which features the ICC on its diplomatic website) would move rapidly to ratify the package. Others foresaw that other countries would follow suit. 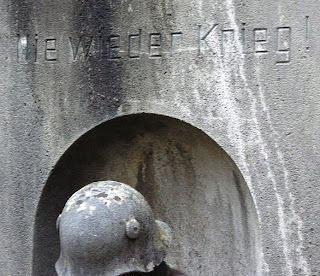 Today, I am myself among the many Germans who believe: the most important point of Nuremberg was the conclusion that aggressive war, which had been a national right throughout history, should henceforth be punished as an international crime. That’s not to say that every participant at the IHL Dialogs – which ended with a Chautauqua Declaration applauding the adoption of a definition and the “determination to press for appropriate mechanisms for its enforcement” – agreed with everything agreed upon at Kampala. Is it eyewash or progress? It’s both. ► William R. Pace, Convenor of the Coalition for the International Criminal Court, noted both the complexity of the definition and the options given states to avoid having the ICC pass judgment on the legality of wars waged at their behest. Kaul did venture to take issue with an oft-stated concern, that making the crime of aggression ban fully operational will detract from pursuit of atrocities. Leaders from all over the world, including Washington, are called upon to reflect ... on which policy they may henceforth follow.